Apple Approves iPhone App That "Promotes School Shootings"
Take this Zombie School application from the aptly named iPhone app developer Retarded Arts. 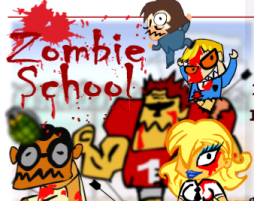 It lets you turn your depicts classmates or teachers as zombies, after which you can use a machine gun, bow or grenades to kill them. It’s a pretty tasteless game, but I can see how the team at Apple responsible for screening new apps for submission in the App Store could have missed the sensitivity surrounding the topic of the game to ultimately approve it. Only, this is the user’s second post on the forum, the first one being this promotional post in which he discloses to be working for Retarded Arts. Whether you think this app has its place in the App Store or not, I think it’s sick for the developer to promote the game the way he does in the forums. What’s your opinion?